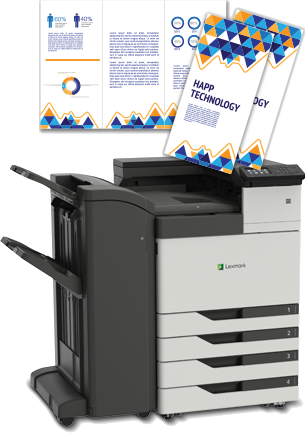 Get high-volume color printing at up to 55 pages per minute (A4/letter)¹ and multi-format output up to SRA3/12×18, plus optional finishing. 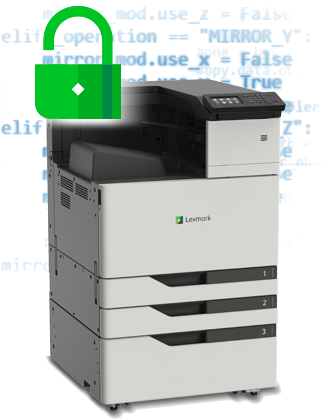 Thoughtful engineering drives endurance and minimizes interruptions to keep the work moving, from high-capacity replacement toner³ to long-life fusers and developers. 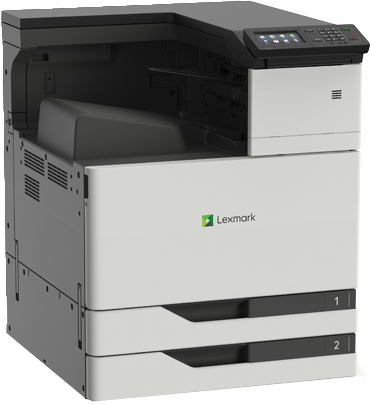 With a list of standard features as big as the paper it can print, the CS920 series is a high-capacity performer with expanded finishing choices. 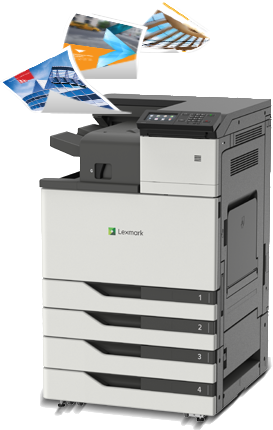 Make a big impression with color output up to SPA3/12×18 handle A4/letter-size jobs with ease, and use the multipurpose feeder for everything down to small envalopes. Among the wide range of media types accepted are card stock, glossy stock, recycled paper, transparencies and labels. Get input capacity up to 6,650 sheets with optional trays and up to 3,500 sheets of output with optional finisher, minimizing paper handling. 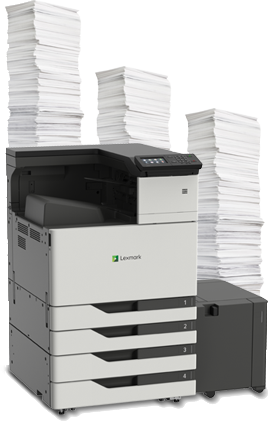 Genuine Lexmark toner cartridges print up to 34,000 mono or color pages2, while fusers and developer units go up to 720,000 and 600,000 pages4, respectively, for impressive uptime . 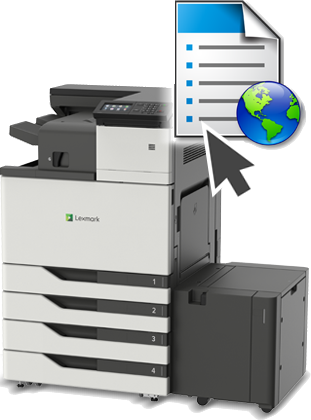 At your fingertips: Accurate color and included solutions, with industry-leading security built in. 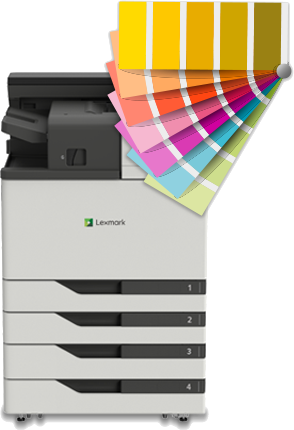 Match your most critical color and present your boldest ideas with a well-stocked color toolbox that includes PANTONE® calibration, embedded color sample pages and Lexmark Color Replacement for easy matching of spot and RGB color .